Saudi Arabia’s top court has upheld a death sentence for Sheikh Nimr al-Nimr, a Shiite cleric who led protests against the government in 2011 in Saudi Arabia’s Eastern Province. Saudi Arabia’s Specialized Criminal Court had previously sentenced him to death in October 2014 for “foreign meddling” and “disobeying” the kingdom’s rulers. Now Nimr’s fate lies with Saudi King Salman, who can either reject or endorse the Supreme Court’s rejection of the appeal against Nimr’s execution, while both political and non-government critics have condemned the decision. Iran, which is a Shiite state and Saudi Arabia ’s regional rival, warned Sunday that if Saudi Arabia executed Sheikh Nimr, his death “would exact a heavy price on Saudi Arabia,” in the words of Hossein Amir-Abdollahian, Iran’s deputy foreign minister for Arab and African affairs. He did not appear to elaborate on what that heavy price would be. The fallout of executing Nimr could be ugly, Nimr’s brother Mohammad al-Nimr warned Sunday, Al Jazeera reported. 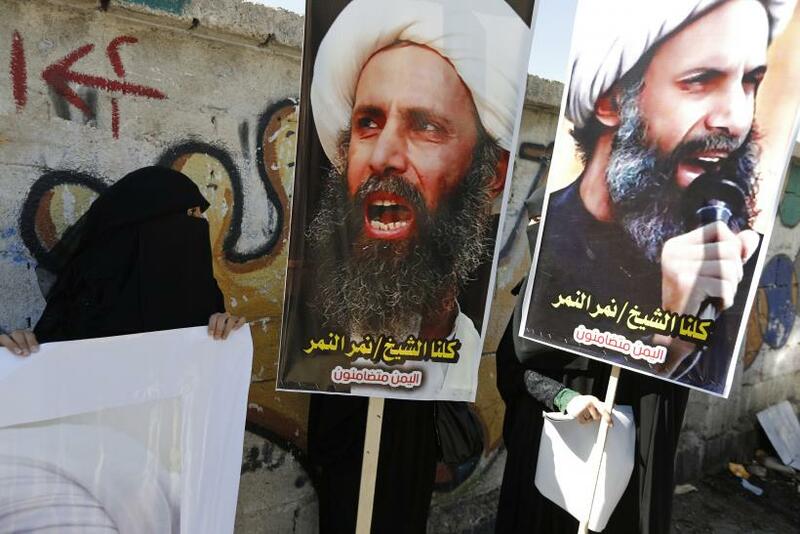 Nimr had "supporters in the Shia areas of the Islamic world," he said, adding that he hoped King Salman would halt the execution of the cleric as well as six other Shiites who were also sentenced to death. In 2014, after Sheikh Nimr was initially sentenced to death, the human rights group Amnesty International described his trial as being “deeply flawed” and aimed at muzzling those who disagreed with the kingdom and its rulers. “The death sentence against Sheikh Nimr Baqir al-Nimr is part of a campaign by the authorities in Saudi Arabia to crush all dissent, including those defending the rights of the Kingdom’s Shi’a Muslim community,” Said Boumedouha, deputy director of Amnesty International’s Middle East and North Africa Programme, said. It was not clear when King Salman could issue his decision, and, if he agrees with the Supreme Court, when the execution would be carried out. Sheikh Nimr was shot and arrested in 2012 during a spate of anti-government protests in Saudi Arabia’s Eastern Province, which is majority Shiite and has long held grievances against Saudi Arabia’s ruling Sunni family for marginalizing and discriminating against Shiites.